Cycling infrastructures are often made to isolate and "protect" cyclists from motorized traffic, creating other problems. 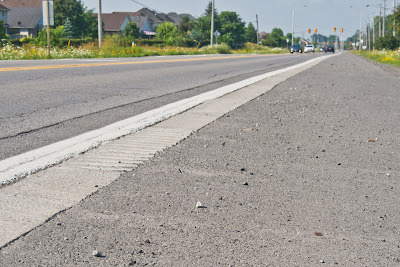 Below, a simple rumble strips doesn't protect anyone from anything, while making sure the dirt stays in the bike lane. 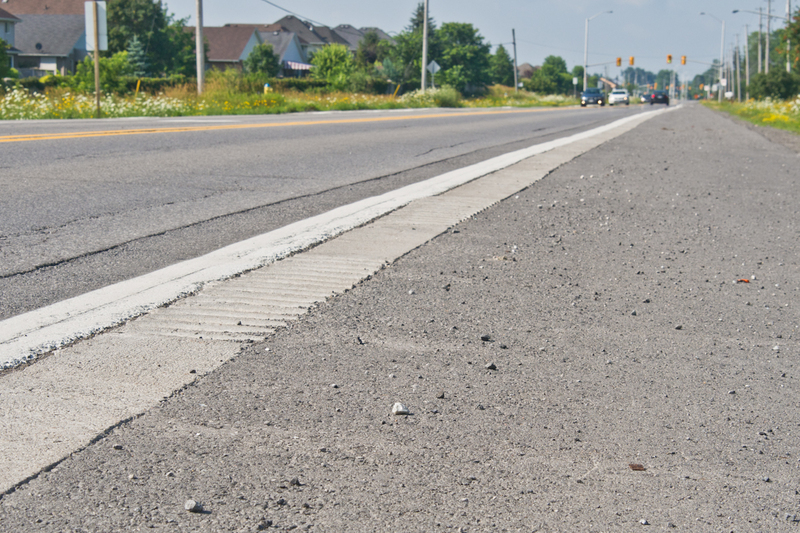 A little further, the same road has a shoulder without without a rumble strip and is clean and as smooth as a billard table.